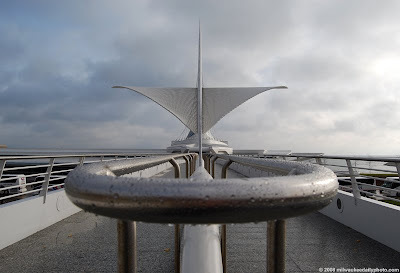 While I've featured the Milwaukee Art Museum before, I've resisted the temptation to post a solo photo of the outside of what is now our most famous building. No longer. Taken from the west end of the suspension bridge, this photo shows the brise soleil fully open in the morning light.